A NINE-YEAR-OLD tiger, popularly called Ustad (T24), killed Rampal Saini, a forest guard in the Ranthambore National Park in Rajasthan on May 8. The tiger attacked the guard when he was patrolling on foot in the big cat’s territory. Ustad has also been held responsible for killing three more persons in the past—a 23-year-old man in July 2010, a 19-year-old boy in March 2012 and an assistant forester in October 2012. After the latest incident, forest guards and village residents in the park protested and demanded the tiger be captured. Ustad was then tranquilised, captured and transported to the Sajjangarh Biological Park in Udaipur, 400 km away from the tiger’s original territory. Ustad has been one of the most photographed tigers in Ranthambore and has a huge fan following. Following its capture, a wave of protests erupted on the social media; several candlelight vigils were held. The protesters demanded the tiger be released in its original territory. Public interest petitions were filed questioning the legality of the forest department’s action. They alleged that the forest department had declared Ustad a “man-eater” without probing into scientific evidence and without following the due process of law (see ‘Not followed?’). Though the petition, filed by Pune-based wildlife excursionist Chandra Bhal Singh through environment lawyer Sanjay Upadhyay, was dismissed on May 28 by the Rajasthan High Court upholding the forest department’s action, opinion is divided over Ustad’s behaviour and the forest department’s actions. Why the tiger was not monitored after the first kill, ask wildlife experts. 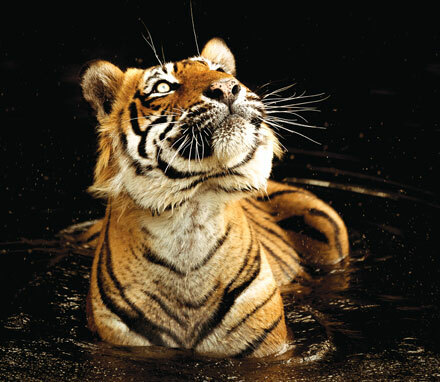 Guidelines of the National Tiger Conservation Authority (NTCA), the highest body to formulate policies on tiger conservation, recommend that an independent team of experts should be constituted after a human kill by the tiger to monitor its day-to-day movements and ascertain its behaviour as a man-eater before deciding to capture it. A typical man-eater persistently stalks and hunts human beings. The deaths attributed to Ustad occurred over a period of five years. This allows conservationists to argue that he is not a habitual human killer. Significantly, all the kills occurred in Ustad’s territory, leading to the conclusion that he has not been following or stalking humans to kill them. Besides, Ustad’s territory is located on the busiest road of Ranthambore—hundreds of pilgrims walk through this area to visit a Ganesha temple each day. Conservationists say if Ustad is indeed a man-eater, why did he not attack any pilgrims all these years. BinaKak, former forest minister of Rajasthan, posted a picture on the social media, in which a group of women are standing and looking at Ustad as he crosses the road. In normal circumstances, tigers are shy of humans and are known to avoid confrontation. Some argue that the tiger’s behaviour may have to do with circumstances. Ustad had been traumatised by several instances of tranquilisation—once when it had contracted abscess on his paw, for constipation, and to tie a radio collar, as well as to remove it. Also, the relocation of eight tigers from Ranthambore to Sariska in 2008 disturbed its natural family structures. Such episodes made it irritable, furious, restless and suspicious of humans. NTCA has set up an enquiry committee along with the scientists from the Wildlife Institute of India, Dehradun, to ascertain if Ustad had the traits of a man-eater, its role in the alleged kills, and whether the decision to capture the tiger was right. 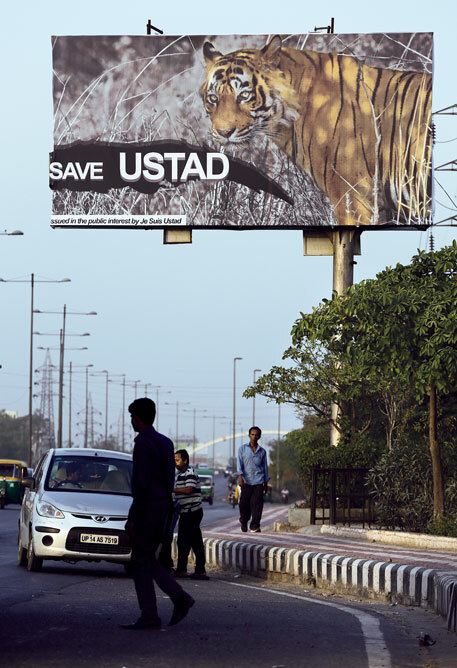 R K Tyagi, Chief Wildlife Warden of Rajasthan, defends his decision saying Ustad is a dangerous tiger. “We had been closely observing T24’s behaviour for some months and we could see he had lost fear for humans and dug his jaws in the victim’s necks. After the fourth human kill, it was important to relocate it,” he adds. K Ullas Karanth, renowned tiger expert and Director for Science-Asia, Wildlife Conservation Society, New York, says the forest authorities were correct in removing Ustad from the wild. “I feel they (the authorities) should have done this when the first attack took place. When there is a definite case of predation on human beings by a big cat, no further chances can be taken,” he adds. On the question of conservationists’ insistence on following NTCA guidelines, Karanth says, NTCA guidelines are long and in some parts, impractical. Often the available evidence may be circumstantial, but risking another attack on humans is simply not an option for rational conservationists. Constitute a team of experts nominated by the Chief Wildlife Warden of the state and NTCA, a veterinarian, representatives of a local non-profit and the panchayat, and the director of the tiger reserve for day-to-day monitoring of the conflicting tiger guiding the forest department. Ascertain the reason for the human kill. Tigers killing human being due to chance encounters should not be declared man-eaters. Confirmed habituated tiger which 'stalk' human beings and feed on the dead body are likely to be "man-eaters". Gather field evidence to establish that the tiger is habituated to kill and eat humans. The human beings killed due to chance encounters may also be eaten by the tiger, but this is not enough to call the tiger man-eater. It can best be established only after confirming the habituation of the big cat for deliberate stalking of human beings, while avoiding its natural prey. Ascertain the reason for tiger turning into a man-eater. Is it because of the tiger's disability due to old age, incapacitation due to serious injury or loss/breakage of its canines? There could be other specific reasons and they have to be ascertained on a case to case basis.